Phil Lempert, known as ‘The SupermarketGuru’, is one of America’s leading food and consumer trend-watchers and analysts. 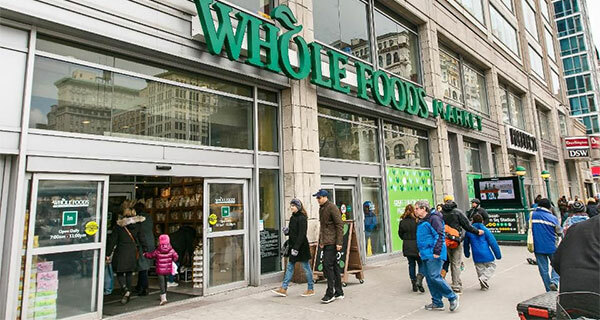 Here’s his report on what trend-setting US retailer, Whole Foods – now owned by Amazon – predicts for the F&B development in 2019. Twenty-six subject experts from Whole Foods have been convening for four years to predict what’s coming next to their own shelves and to the food world as a whole. These experts range from a master sommelier and global beverage buyer to a senior R&D culinologist to the president of the Whole Kids Foundation to a produce field inspector to a board-certified, internal medicine physician to a global meat buyer. Before sharing their predictions, what is unsaid is that the chain, now owned by Amazon, has produced the biggest trend in grocery in decades: they have awoken a previously staid industry and revitalised it as chains both large and small are changing the way they look at grocery. Amazon/Whole Foods has also attracted new talent, some from Ivy League schools who might never have thought about a career in grocery, and led other grocers on the same path. For me one of the biggest trends for 2019 will be to watch where Amazon/Whole Foods leads us next. Pacific Rim flavours is the top trend, with Whole Foods announcing that its Market and 365 Everyday Value brands will launch a new line of products inspired by Pacific Rim fruits like a guava tropical vinaigrette, pineapple passionfruit sparkling mineral water, mango pudding mix and passionfruit coconut frozen fruit bars. It also expects to see ingredients like longganisa (a Filipino pork sausage), dried shrimp, cuttlefish and shrimp paste to appear on restaurant and home menus in dishes from breakfast to dinner. Probiotics have been a trend for a few years now, but Whole Foods predicts they will expand beyond the refrigerated section. New strains of probiotics, such as Bacillus coagulans GBI-30 and Bacillus coagulans MTCC 5856, are making more shelf-stable applications possible and are starting to appear in pantry staples like granola, oatmeal, nut butters, soups and nutrition bars. Trend #3 tries to be a bit cute as Whole Foods call it Phat Fats, based on the growing popularity of keto, paleo, grain-free and even “pegan” (paleo + vegan) diets. Pointing to a change in the consumers’ mindsets about fat, it predicts that higher-protein and lower-carb diets will continue and even expand to new categories in the store, including nutrition bars, snacks of all kinds, vegan coffee drinks, coconut-butter filled chocolates and even new flavours of ghee that range from sweet to savoury. According to these experts, fat will be back in a big way. Another one of its trends are new ice creams and frozen desserts that have savoury swirls of artisanal cheeses. Senate Majority Leader, Mitch McConnell, just the other day said that legalising hemp to be grown in the US will be a part of the new farm bill, allowing hemp researchers to apply for grants and make hemp farmers eligible for crop insurance. Whole Foods predicts that the current offerings (hemp is grown in Canada and is allowed to be sold on store shelves here as hemp oils, seeds and as ingredients in other foods and beverages) will become much broader as researchers find more benefits from other parts of the plant as consumer interest in cannabis continues to accelerate. Plant-based foods have been on the rise for the past couple of years but the experts at Whole Foods predict that even more people are exploring plant-based snacking. Their palates crave adventure and want a break from meat, seeking ways to add savoury umami flavours into snacks and meals. It expects alternatives to the meat-based snacking world of jerkies, bacons and pork rinds to be the next big trend in plant-based foods. The frozen food section, featuring new pints with innovative bases like avocado, hummus, tahini and coconut water, is also building on the plant-based trend. Sea greens are another trends for 2019. Expect to see seaweed butters, kelp noodles, puffed snacks made from water lily seeds, plant-based tuna alternatives made from algae, crispy salmon skins and kelp jerkies. Packaging continues to be one of sustainability efforts biggest issues – but Whole Foods sees brands making the switch to more compostable packaging. It also sees an emphasis on reusable packaging as produce departments try to push a “BYOVB” (bring your own vegetable bag) effort. In addition, traditional single-use packaging is going multi-use (and compostable), with food wraps made from beeswax and waxed canvas or silicone alternatives to the usual plastic storage bags used for sandwiches and snacks. Innova Market Insights, which analyses new food and beverage launches to determine industry trends, names snacking as “the definitive occasion” as people redefine what a snack is. Innova shows 10% in annual growth of global food and beverage launches with a snacking claim over the past 5 years. Whole Foods’ experts seems to agree as they see snacks getting an upgrade. They point to charcuterie or cheese boards as examples and see the trend gravitating towards higher-quality snacks that take us back to our childhoods; including artisanal versions of classics like cheese or peanut butter cracker sandwiches. Whole Foods’ last trend is focused on the consumer who is aligning with brands that have similar values and supporting those brands with her shopping dollars. It expect to see more shopper support for brands committed to environmental stewardship, animal welfare, women-owned businesses and farms and support programs to relieve poverty throughout the world. Check out SupermarketGuru.com for more insights into the world of food.